It's a dangerous road we venture down, the road we call "one of my favourite author's second book". It's a road that I wish didn't lead to such high expectations. It's the birth of your second child, and hoping the labour will go as smoothly as the first, it's that second helping of dinner that you were SO sure you wanted, but then you're too stuffed, and these analogies are horrible, aren't they?! I didn't love The Hummingbird as much as I had hoped my whole heart would. I expected too much, and felt like I was given only the smallest emotional sliver of what The Curiosity was. It's unfair to compare narratives, but that wasn't the issue for me anyway, it was the lack of pull I felt towards situations and people existing in this book. The Hummingbird was too specifically targeted to an audience that I wasn't a part of: war veterans, those familiar with heavy PTSD symptoms, fans of extremely detailed and technical combat scenarios and weaponry-there was little in there that I could relate to. I'm more than sure it wasn't intentional on Kiernan's part, as there were 3 stories cohabiting this novel, one of them with the potential to be highly relatable-I just couldn't take the bait. The author wrote primarily from the perspective of a female lead this time around, which is always an admirable feat for a male author, but sadly I didn't believe her character either. It was a display of too much patience, too much sympathy, with no buildup to a self dialogue of inner turmoil, or much needed outburst. Deborah played her role as hospice nurse and understanding wife to a fault, and it drove me to the brink of madness. I felt like The Hummingbird was written to highlight an understated reality: the after effects of war on the people who witnessed and participated in the most horrific of acts; the killing of a fellow human being. It was as though the fictional story line came second to that. There was an almost-pull towards the relationship between the dying professor, and Deborah, but even in those moments, I found myself detaching from his miserable attitude, and her willingness to put up with it. I digress, because I didn't dislike the entirety of this narrative. In fact, the parts I enjoyed the most were Kiernan's descriptions of Deborah's relationship with her husband before the war shot it to figurative bits. 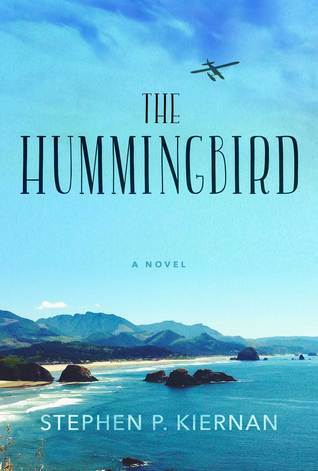 I got a chance to remember that I REALLY enjoy this author's writing, I just didn't love The Hummingbird. Recommended for Fans of: War fiction, Contemporary, Historical Fiction, PTSD in fiction. 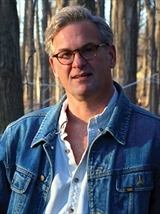 Stephen P. Kiernan is a graduate of Johns Hopkins University and the University of Iowa Writers' Workshop. During his more than twenty years as a journalist, he has won numerous awards, including the Joseph L. Brechner Freedom of Information Award, the Edward Willis Scripps Award for Distinguished Service to the First Amendment, and the George Polk Award. Kiernan is the author ofThe Curiosity, his first novel, as well as two nonfiction books. He lives in Vermont with his two sons.